When ever I listen to Indian news these days, there is always some piece about the relentless heat that is scorching most parts of India. Luckily, I live in a country where the temperature barely soars over mid twenties. Most of the time it varies between pleasant to cold(or to very cold). I have almost forgotten how it feels to be in 40 degrees and I have no wish to experience the same. 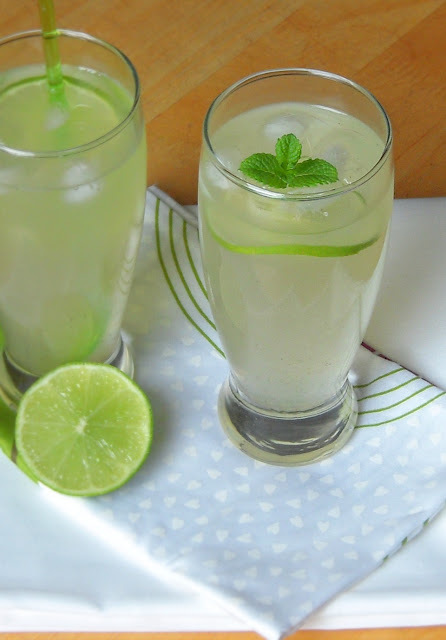 To beat the heat, most people like to have chilled drinks and one of the most popular drink in India is Sweet Lime Soda. I will rank it only second to fresh sugar cane juice. 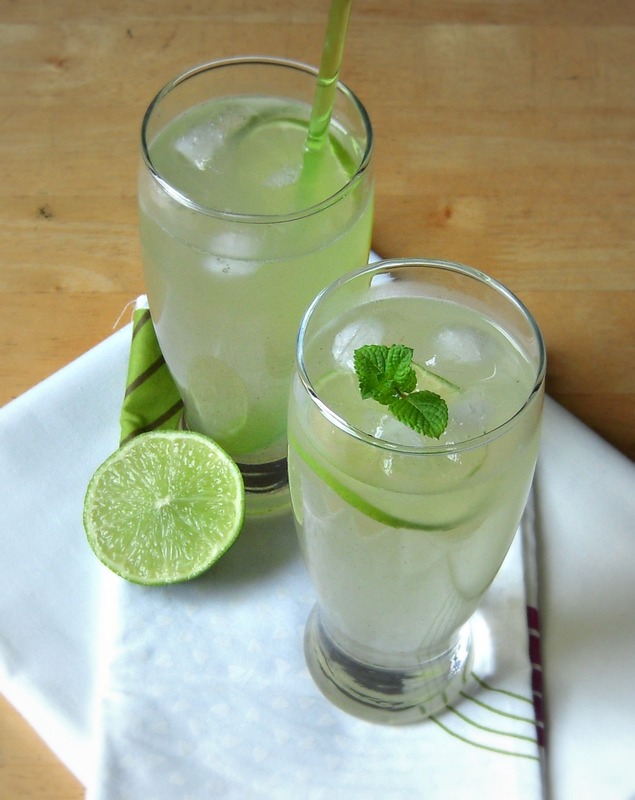 Sweet Lime Soda is nothing but sweet lemonade that uses soda water instead of plain water. A special blend of spices is often used and the resultant is often termed as Masala Soda. Here I have used a blend of roasted cumin and black pepper but, I have strained it as I don't like bits of spices in my drink. You may however choose not to strain it. Lets see how I make this summer delight drink. 1. Mix all the ingredients except the soda water. Stir till all the sugar is dissolved. Strain and divide equally in 4 glasses with ice cubes. 2. Top it up with soda water. Stir and serve immediately if you want to enjoy the fizziness of soda water. Best served chilled. 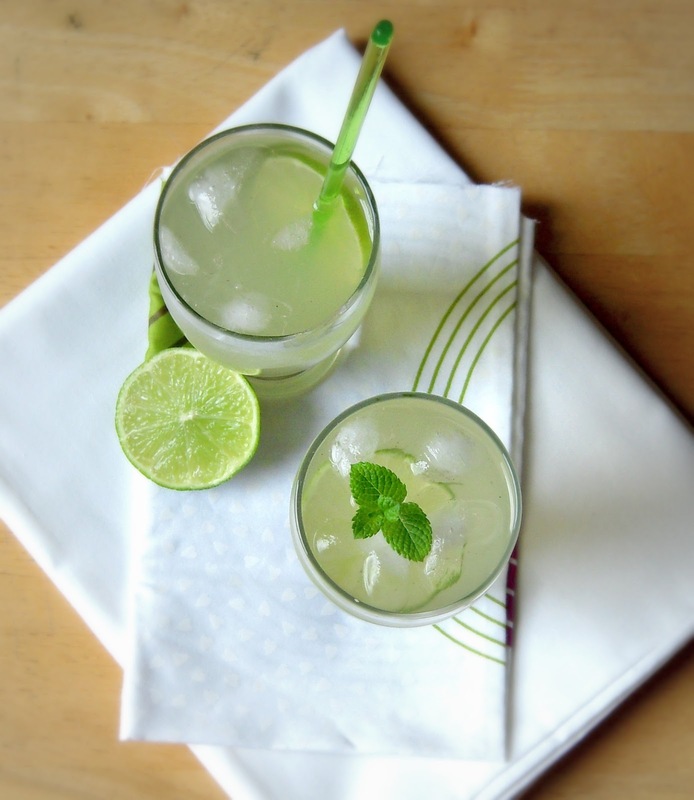 Linking it to my event - Cool Summer Sips. The last date of the same has been extended to 30th July. Refreshing drink with nice clicks. Wat an excellent drink for this hot weather. A few years back while visiting Chennai in late April/early May on business I consumed large quantities of sweet lime soda while lying under the palm trees on Covelong Beach. However, they seemed to use yellow limes rather than the bright green ones more common in the United Kingdom and Ireland that appear in your photographs. Would these be citrus aurantifolia aka Key Lime, aka Mexican Lime, aka Omani Lime, aka.....?